1. Adopt a formal entity structure for your small business. If you work as a sole proprietor or are a member of a partnership, the IRS is likely taxing you at the highest tax rates. Fortunately, there are ways to reduce what you owe in taxes. Consider entering into a formal entity structure for your small business. Doing so could lead to more flexibility, protection, and lower tax rates. Two primary options include becoming a corporation or taking on the LLC designation. Take time to explore each structure to see which one could offer the best tax savings for your specific business situation. 2. Look into all possible small business tax deductions. The IRS allows small business owners to write off a wide range of expenses that are directly tied to their companies. That is why it’s critical to fully explore all potential business tax deductions that could reduce your IRS tax bill. Consider the home office deduction, the vehicle deduction, meals and entertainment, and other business expense deductions. You just might be surprised at what you can write off and how much more money will be in your wallet. 3. Consider all potential small business tax credits. Business tax credits aren’t quite as readily available as deductions, but they are certainly worth researching for financial savings. In fact, there are some credits available for small business owners who hire disabled workers or veterans, use energy-efficient materials, or conduct certain types of business. 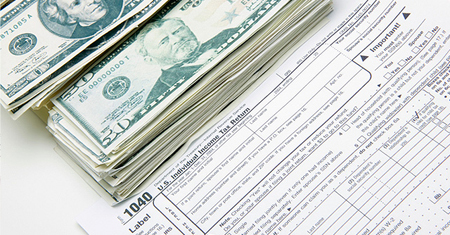 Some of these tax credits are extremely beneficial to reducing a company’s IRS tax liability. Some credits can be claimed only one time, while others can be claimed multiple times. This is why it’s important to find out how you can reduce your taxes through credits. 4. Consider outsourcing your tax and financial needs to an accounting professional. Although most small business owners wear multiple hats, one hat that generally does not fit too well involves handling the tax and accounting obligations of their businesses. This is why outsourcing your tax filings, bookkeeping, and payroll may save you both time and money. Accounting professionals who are well-versed in preparing business taxes know how to best assist their clients to minimize what they owe to Uncle Sam. With that said, it makes perfect sense to have a knowledgeable accountant handle your business tax returns for you. The cost of getting this valuable assistance is always well worth it.